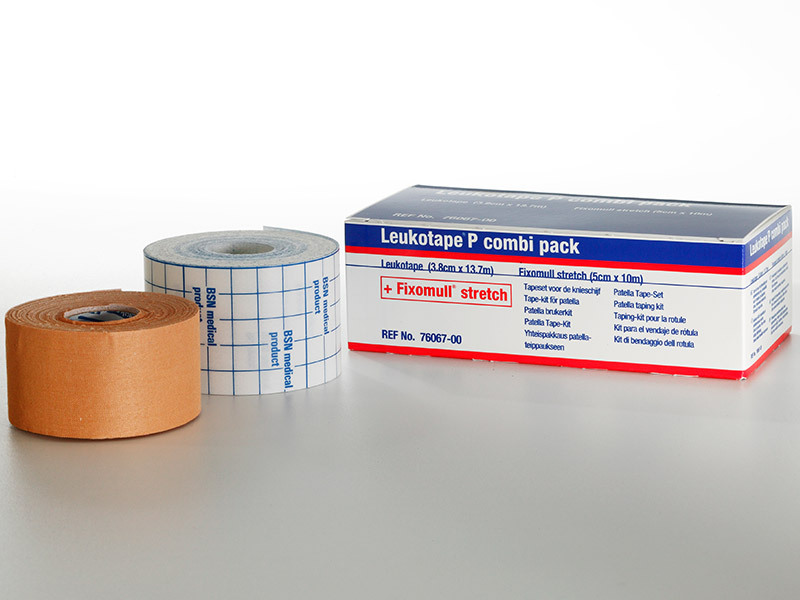 The Leukotape® P Combi Pack comprises of a roll of 3.8cm x 13.7m Leukotape® P along with a roll of 5cm x 10m Fixomull® stretch for use as a protective underwrap. White nonwoven polyester substrate coated with a skin-friendly polyacrylate adhesive. Designed to hold dressing securely in place and to protect the dressing from all four sides, thus reducing the risk of contamination. The soft and pliable material adapts well to body contours.